Morning beauties! You have NO idea how long I’ve been wanting to make this post for you but for some reason I just never got round into it. For me, applying primer underneath my foundation is a must and I always try my best to have some on. It’s a step I am almost never too lazy to skip because I just adore the look and the feel of my skin when I wear it. 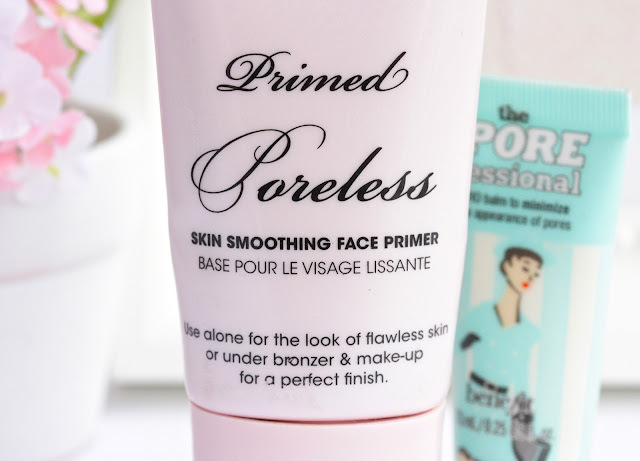 I’ve tried a bunch of different primers but the two I always come back to are the TooFaced Primed & Poreless Skin-Smoothing Face Primer and Benefit’s POREfessional. They are pretty identical so I thought I don’t need to make two separate posts about them but they are both incredible products and I rarely leave the house without one of them accompanying me. I am a massive fan of Too Faced’s Primed & Poreless range. Their powder for example is phenomenal (review here) and really does work wonders! The Face Primer is definitely not an exception and I swear by it. It has such a lovely lightweight formula, which never feels heavy on the skin and doesn’t clog my pores. There are Vitamins C & A, Mulberry Extract and Retinol in it, which makes my skin firmer and more hydrated, which is fab. The primer literally makes my (not so little) pores disappear and the tiny fine lines I have on my forehead are not an issue any more! <3 This miracle product also creates ‘an even canvas’ on the face and the foundation / powder goes on so smoothly on top, leaving your skin look airbrushed. The cool thing about this face primer is that I can wear it on its own when I have good skin days as it also evens out the skin tone and hides some of my imperfections. The Skin-Smoothing face primer is a bit lighter and has more pink tones to it than the POREfessional but it doesn’t really matter, as it becomes invisible once blended. This product is Paraben-Free and Vegan-Friendly. What else can we ask for? 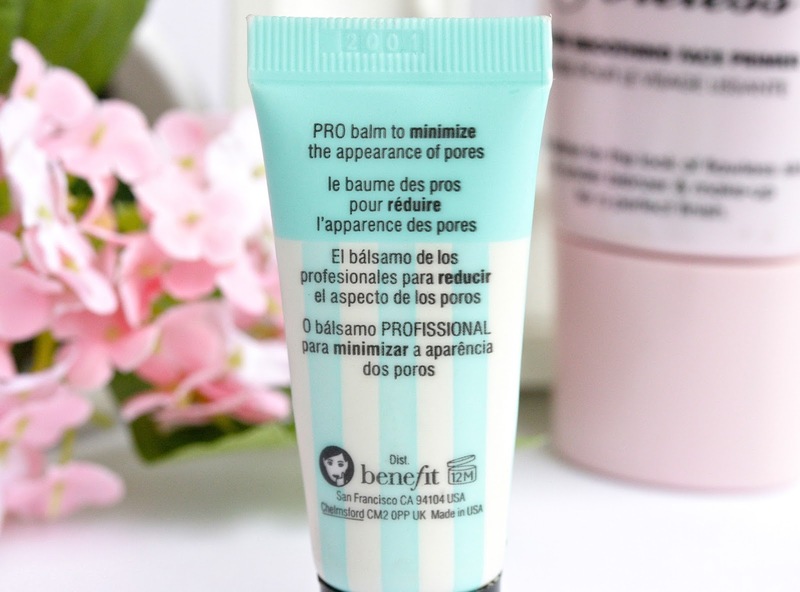 UK’s best-selling primer and a winner of multiple awards, POREfessional is definitely a cult product in the beauty world. It feels lightweight (even though it’s a bit heavier than the Too Faced one) and it applies like charm. It has a lovely silky texture, which goes on so smoothly and effortlessly. It works wonders as it comes to hiding those not-so-attractive pores I have around my T-zone, which is essential. Once I apply the primer my skin instantly becomes smoother, softer and more even. Same as the Primed & Poreless primer, POREfessional creates the perfect base for my foundation and makes its application easy as pie. One thing I’ve noticed with this primer is that it actually controls the oils and mattifies the skin, which the Too Faced one doesn’t do as good. The POREfessional is oil-free and has Vitamin E in it, which helps protect the skin from radicals. It is designed to suit every skin tone and blends invisibly. Brilliant! Have you tried any of these primers? Which one do you prefer? Which is your favorite face primer? I'm currently using porfessional, I usually just wear primer on the weekend or when I know I'm going somewhere but recently my makeup hasn't been lasting so I've decided to make it a part of my daily routine. Porfessional helps my oily areas but slightly dries my dry areas so may have to give the too faced one a try. Thanks Hun. both products look amazing! =) love the design of the packages! I have both but my mac prep and prime is my favorite.if I had to choose between these two though I would choose the porefessional as it suits better in my skin and makes my pores invisible! I've tried Primed and Poreless... I like it but I'm not sure it made a huge difference when it comes to the wear time of my foundation. lovely review! I've never tried either of these primers but reading this post definitely makes me want to give them both a try! Great review, I really want to try the Benefit one because that is all they sale here but both sound lovely! I've never really tried a primer before although I have really oily skin, especially in the T-zone. I did have a mini sample of the POREfessional Primer and I quite liked it but I wasn't convinced enough to invest in a full size yet. I probably still have to think about that. I have both primers, the too faced one is a sample size that I got in a set. Great post! I've tried the porefessional primer before but didn't notice that much of a difference! Perhaps it's because I'm very new to face primers; I've always just stuck to eyes. These were two great reviews though! 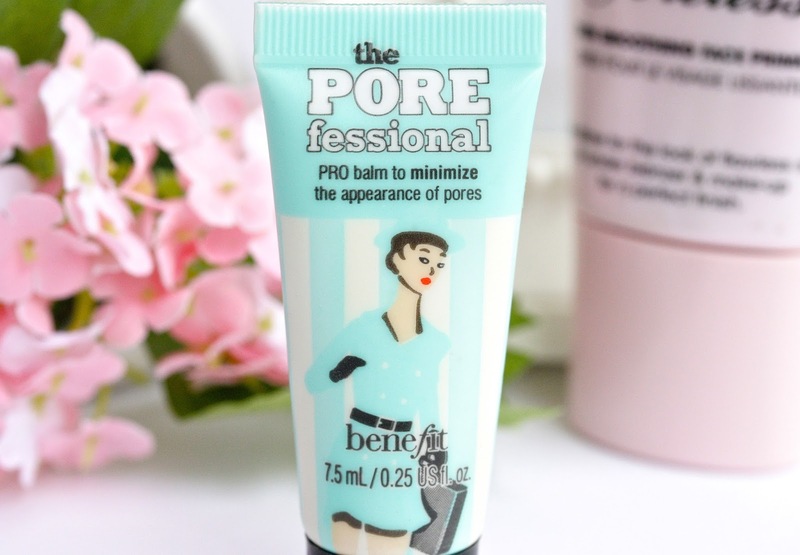 I´ve used The pore fessional and it´s my favourite one! I use that too faced primer every day, it is a wonderful product! Yes! I want to try the Too Faced Primed &Poreless! Thanks for this review &kiss from France. need to give it a try then ! Live streams appears to be the hit currently, Live.ly Musical.ly everybody wishes to enter as well as right now. This harness comes in five different sizes for DogHarnessNetwork canines as much Best Dog Harness as 80 pounds, and it has a 10-inch lead.